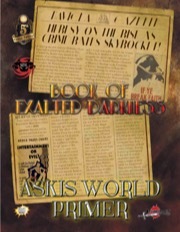 The Askis World Primer brings you all you need to explore the fantastic world of Askis, where angelic avatars reign with stifling order and unsullied virtue, where those seeking freedom must step into the secret dark underbelly of the world to strike a blow... a murderous, blook-soaked blow... to throw off the gilded shackles of their beatific masters. 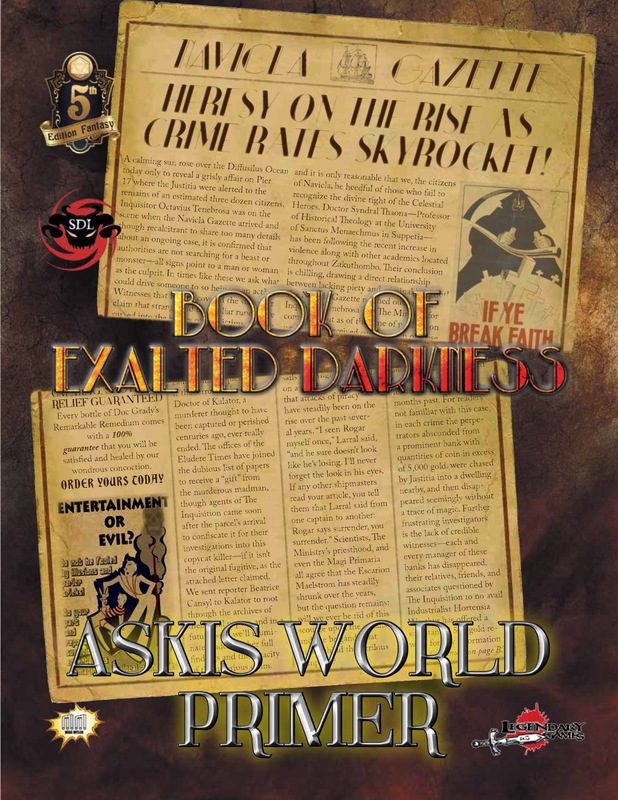 This 140-page resource contains all the player-facing information for antiheroes exploring the world of Askis, as introduced in the incredible Book of Exalted Darkness campaign setting available for 5E and Shadow of the Demon Lord, including amazing equipment, killer character options, setting and world lore, and so much more! If you are running a campaign using either the Book of Celestial Heroes (5E) or Book of Exalted Darkness this is the ideal companion for your gaming group.